It's that time of year again! 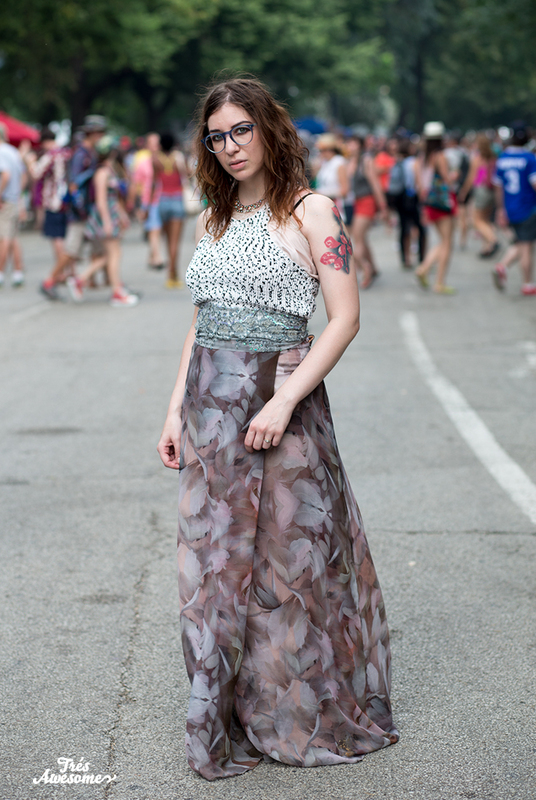 The Pitchfork Music Festival is this weekend (July 18-20) and we will be there all weekend capturing the best style of the fest. To get you in the mood I'm posting some MAJOR style inspiration from years past. Wear a festive hat like Mel Muoio. Showcase a coloful accessory with an all-white ensemble. 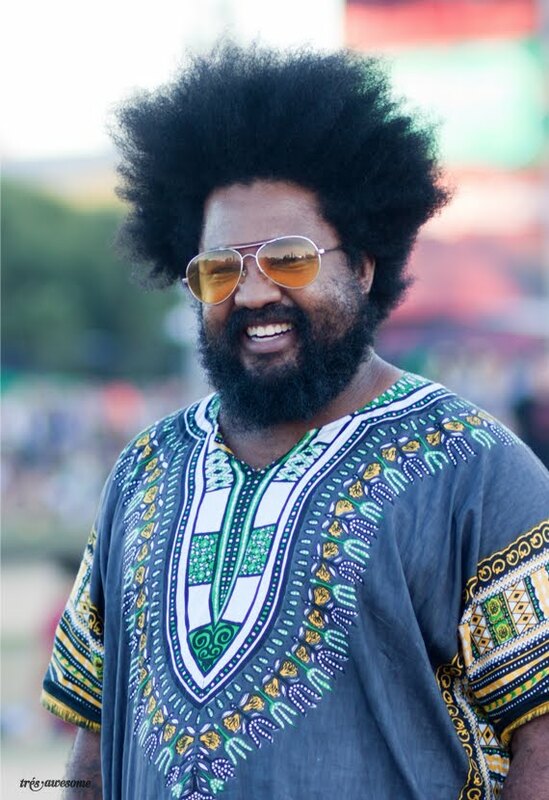 Reflect the festival and city in your shades and DEFINITELY wear a dashiki. 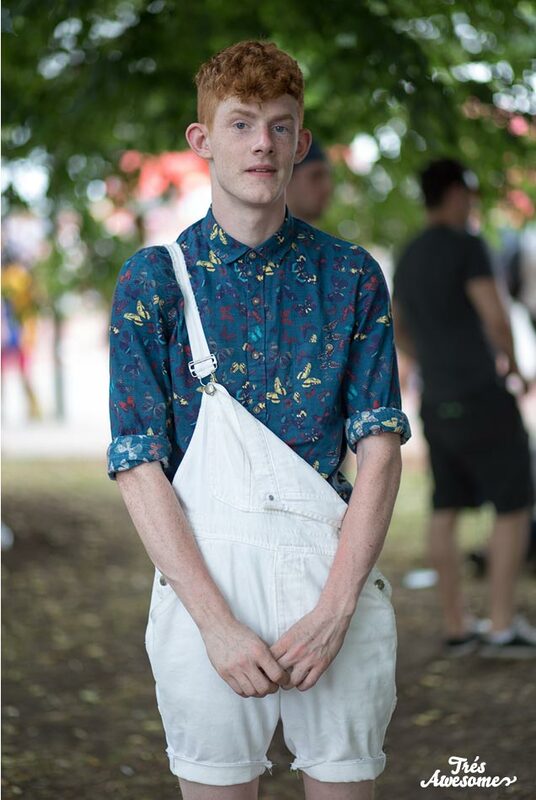 Make the 90s jealous and wear overalls with only one strap! Go for shades of grey with one pop of bright color like designer Azeeza Desai. 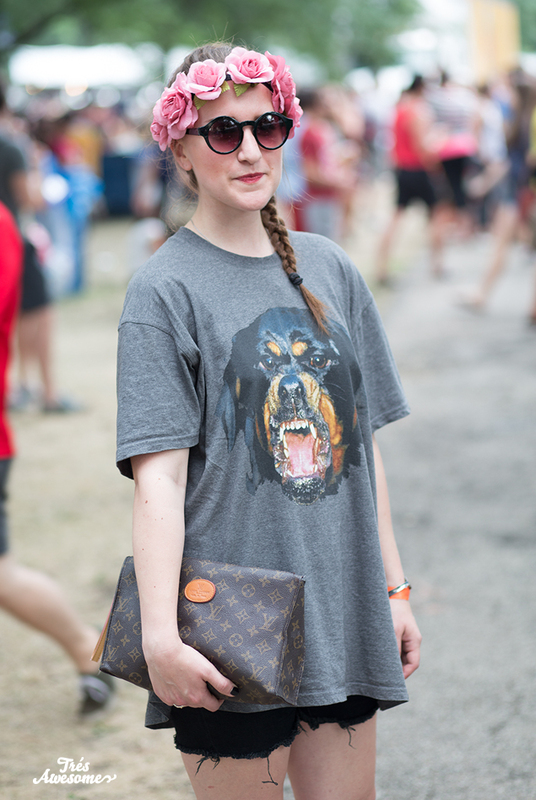 Be ferocious AND sweet like Mackenzie Nielsen in her Givenchy Dog T-shirt and flower crown. Match your lipstick to your dress like designer Ashley Scott of DRAPES. 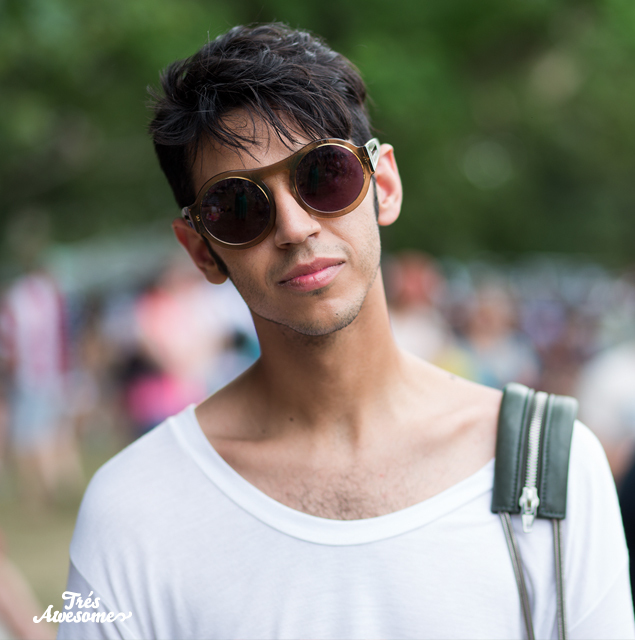 Rock some HUGE sunglasses like Luis Torres of Chic Overload. Wear an amazing onsie like Romah J Shah. 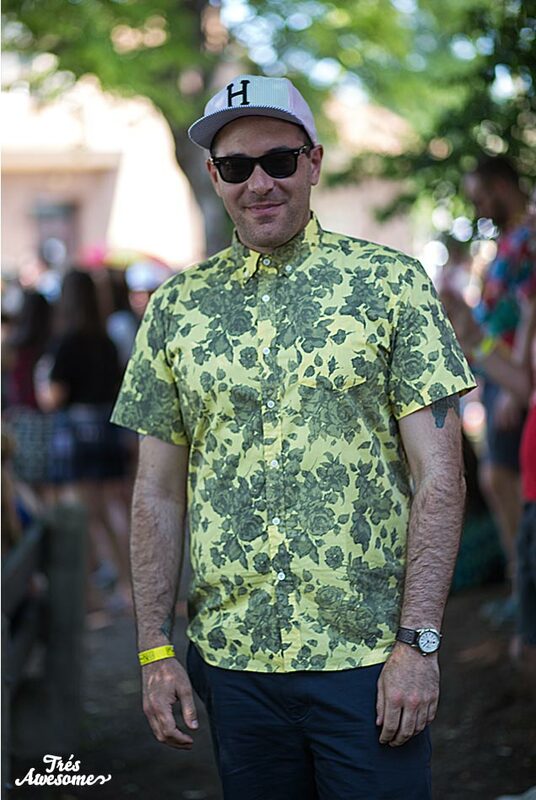 Button up and go floral like this gentleman. I don't know about you, but I'm throughly excited now! 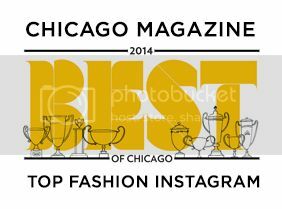 Between the fashion spotting and the great line up Pitchfok 2014 is going to be the best ever. Listen to the Tres Awesome Spotify Pitchfork Mix here to discover the must see acts of the festival. See you at Union Park!